NEWSFLASH: Earth is not a spinning ball and nobody has ever landed on the Moon, Mars or even gone into "outer-space." NASA steals billions of taxpayer dollars and gives us back nothing but Hollywood Science-Fiction movies and bold-faced lies. Please share and help spread this most important documentary! It's clever the way they end up reviewing the use of predictive programming thru movies to reemphasize the myth. "If you repeat something often enough, the sheep will believe it." Lets get into the wayback-machine and go to the year 1959, where the USSR are first to land the lunar probes Luna I and Luna II, launched during the visit of Soviet Premier, Nikita S. Khrushchev to the U.S.A., these were the first space-craft on the moon. 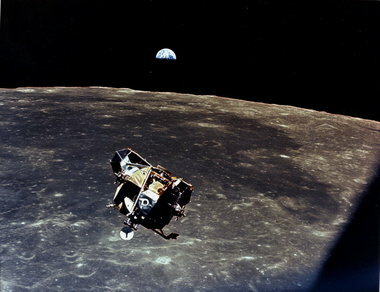 Then in October that year, Luna III took photos on the Dark Side of the Moon. 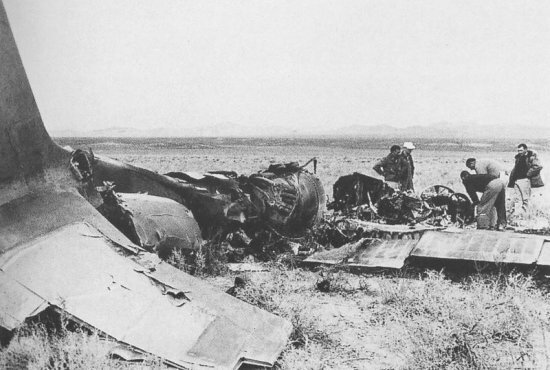 The Evil Red Menace (U.S.S.R.) shot down the U-2 spy plane, piloted by Gary Powers. "We are in a strategic space race with the Russians, and we have been losing. The first man-made satellite to orbit the earth was named Sputnik. The first living creature in space was Laika. The first rocket to the moon carried a Red flag. The first photograph of the far side of the moon was made with a Soviet camera. If a man orbits earth this year his name will be Ivan. These are unpleasant facts that the Republican candidate would prefer us to forget. Control of space will be divided in the next decade. If the Soviets control space they can control earth, as in past centuries the nation that controlled the seas dominated the continents. This does not mean that the United States desires more rights in space than any other nation. But we cannot run second in this vital race. To insure peace and freedom, we must be first." 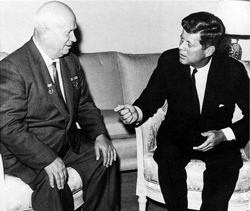 President Kennedy invited the U.S.S.R., "to join with us in developing a weather prediction program (Tiros), in a new communications satellite program and in preparation for probing the distant planets of Mars and Venus, probes which may someday unlock the deepest secrets of the universe." Fake Space is go for liftoff. 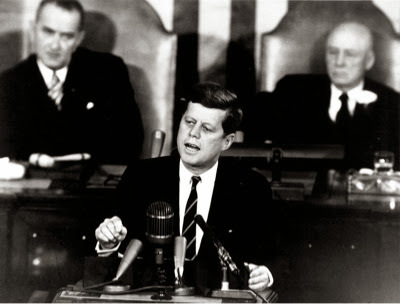 JFK addresses Congress, "these are extraordinary times. We face and extraordinary challenge." "Now it is time to take longer strides, time for a great new American enterprise, time for this nation to take a clearly leading role in space achievement, which in many ways may hold the key to our future on earth." "that this Nation should commit itself to achieving the goal, before this decade is out, of landing a man on the moon and returning him safely to earth." 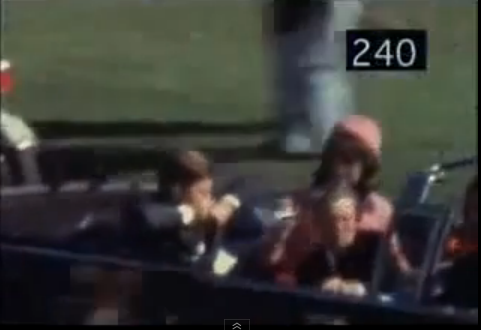 President John F. Kennedy was assassinated on video tape, for the public to see, what better way to carrier out the mans legacy of putting men on the moon? NASA Apollo 11 - Lands two (2) Freemasons on the Moon. Yes Comrade, the game is worth the candle. Where's Bones When You Need Him? They've got to keep spinning the lie to keep the cash flowing. "I don’t envy the space physician who’s 140 million miles from the nearest hospital when the ship’s pilot develops appendicitis. "For the sake of the crew as much as the doctor, having more than one medical professional onboard would certainly benefit a deep-space mission. Unfortunately, lifting even one human out of Earth’s gravitational field comes at heavy cost, and lifting a crew all the way to Mars would require a three-year supply of water, food, oxygen, as well as research and medical supplies. 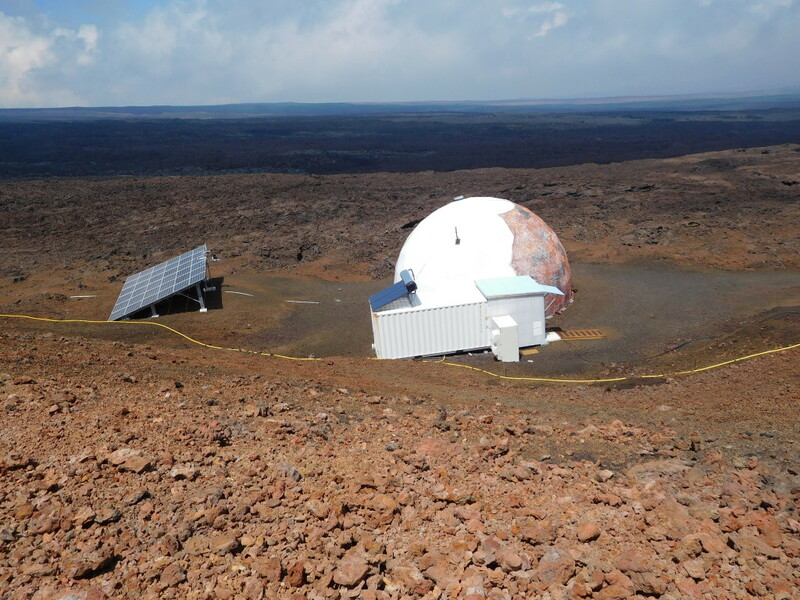 "We can barely do it all with a six-person crew in a Mars simulation. If space is the future of mankind, it looks like the lone space doctor is the future of medicine. One planet, one doctor. Make it work. And other medical tools such as these. I didn't see it anywhere here, so i wanted to share it with you. Its 2 years old, but i stumbled upon this recently. Nvidia guy is saying that thanks to their new graphic cards they were able to program and render whole moon landing site with sun and everything. And thanks to this, they found out that moon landing is legit. He talks about all exposures, lights, lightings,stars and why it is the way it is. All the points that we are saying are fishy or not normal, they claim are perfectly normal, because they programed whole scenario and everything makes sense thanks to their technical advancement in computer graphics. I skimmed through the video and the dude is not saying that, rather the opposite.....everything this site is saying regarding the moon landing being fake is true, and is actually supported by this video! @Spydaman Yea, now when I see what I wrote it is a bit confusing. "All the points that we are saying are fishy or not normal, they claim are perfectly normal, because they programed whole scenario and everything makes sense thanks to their technical advancement in computer graphics. " I wasn't saying this guy is right. I wanted to share this video because I didn't see it here anywhere and thought it is interesting how they are "debunking" reasonable questions about Moon Landing through nVidia. Same like they did with MythBusters. President Donald Trump has signed into law a bill that adds exploration of Mars as a NASA goal. S. 442, which (1) authorizes appropriations for the National Aeronautics and Space Administration for FY 2017; (2) provides for improvements to the International Space Station program; (3) authorizes medical monitoring and treatment for former astronauts; (4) authorizes a space technology program; and (5) authorizes third-party indemnification for certain hazardous commercial space services. how much cgi can 19 billion buy? oh, and some crisis actors too. and a couple of painters. $52,054,794 Million Dollars, daily, for Fake Space. On Aug 17, 2009, Alex Jones had Buzz Aldrin in show asking him what influence have masons on moon landing. Flag that was on "Moon" with Buzz Aldrin . 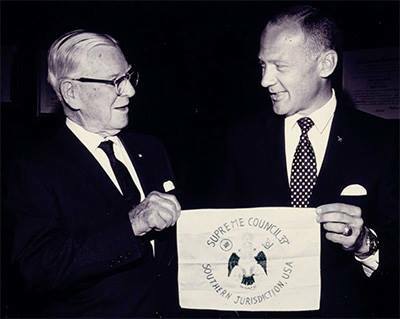 Aldrin with Luther A.Smith sovereign Grand Commander . How to proof nobody landed on the moon in 4 minutes. New Episode of sitcom "White House and NASA Fantasy Adventures". 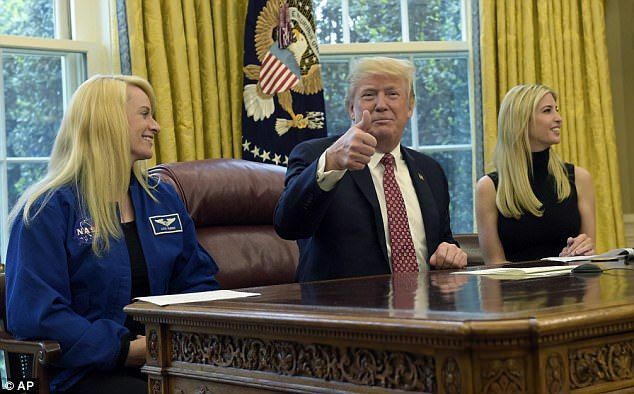 Cast overview: The President character played by Donald Trump, acting as Astronauts: Kate Rubins, Peggy Whitson , Jack Fischer. 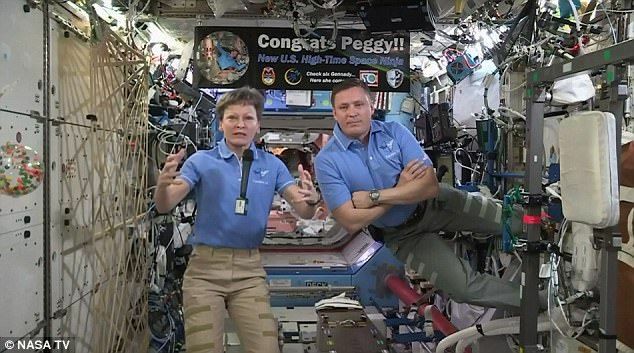 "Sitting in the Oval Office Monday, President Trump spoke with two American "astronauts" currently living aboard the "International (fake) Space Station". The President, who signed a NASA bill last month with the aim of "sending people to Mars", asked the astronauts when the trip was planned. 'I think, as your bill directed, it will be in the 2030s,' Whitson said. Trump replied that was simply too far away. 'Well, we want to try and do it during my first term or, at worst, during my second term, so we'll have to speed that up a little, OK?' he told the astronauts." Will Freemasons be shown setting foot on MARS, this next great CGI cash cow, for the space ENTERPRISE? 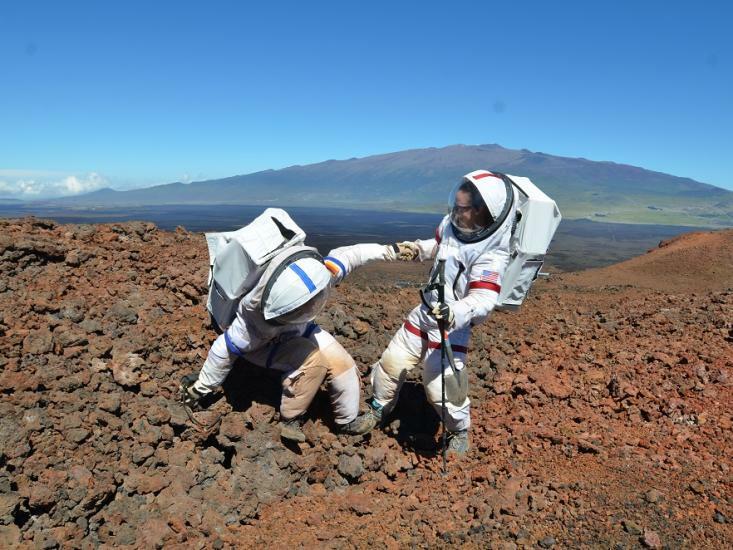 Could CGI Robonauts on MARS be the next giant leap for mankind? Will it be cheaper to send CGI Robonauts into the man-made construct of Space and onto the red planet, instead of sending Freemasons on Zero G plane rides? Of course he's an actor, you don't become a billionaire unless you are part of the Elite and even then you have to play by their rules. 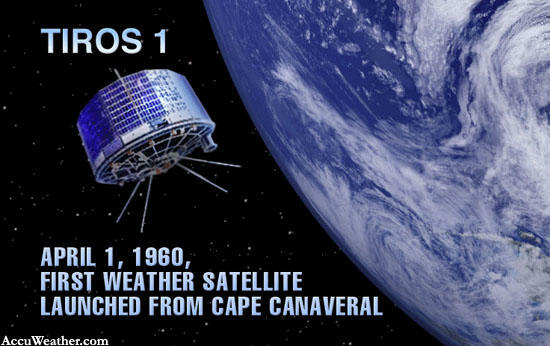 An official chronological list of NASA and related space agencies inconsistencies would be extremely beneficial for everybody; providing overwhelming evidence of their fraudulence = especially in this day and age where at the click of a search button any of them could be verified. Schpankme wrote: Will Freemasons be shown setting foot on MARS, this next great CGI cash cow, for the space ENTERPRISE? The BS that this guy is pitching in this video is just as absurd as his shirt!!! PriorityMinority wrote: An official chronological list of NASA and related space agencies inconsistencies would be extremely beneficial for everybody; providing overwhelming evidence of their fraudulence = especially in this day and age where at the click of a search button any of them could be verified. First Post So Go Easy On Me!!! Welcome! The earth being flat is no 'belief', it's scientific truth. Outer space and gravity indeed belong to scientism (belief) = religion.